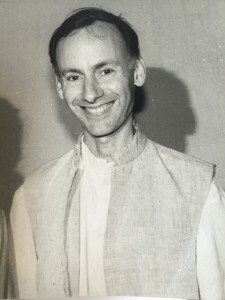 April, 1991 – I am in Ahmedabad, India, on a Fulbright grant, choreographing an evening-length work on Mallika Sarabhai and dancers from her acclaimed company, Darpana, in costumes designed by Sandhya Raman. 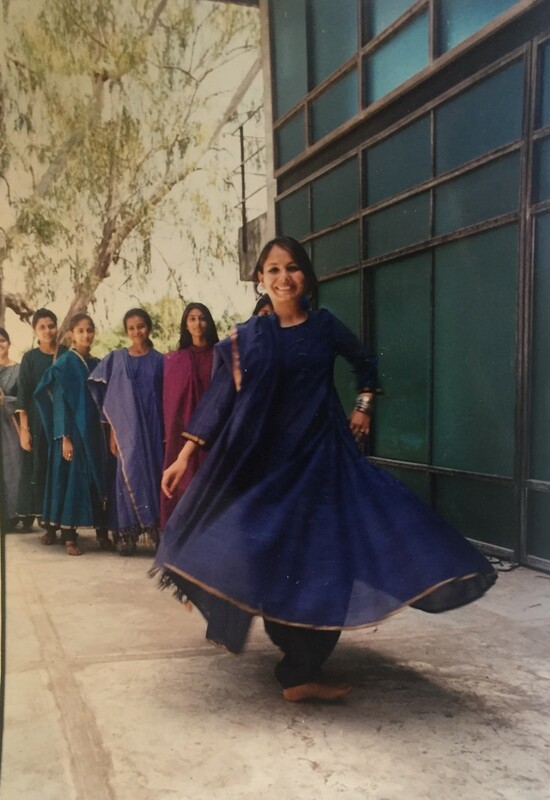 After a jubilant performance on the grounds of the National Institute of Design (NID) with ancient stone carvings in the background, one of the dancers handed me a gift – a cassette tape with recordings of several great Hindustani musicians. October, 2015 – My dancers and I sit together and discuss concepts for a new production for Battery Dance’s 40th Anniversary Season. Having worked with guest artists from various countries in the past several seasons, I propose bringing a dancer from India to change up the formula and to harken back to our work on the Subcontinent where we have performed in 17 cities. 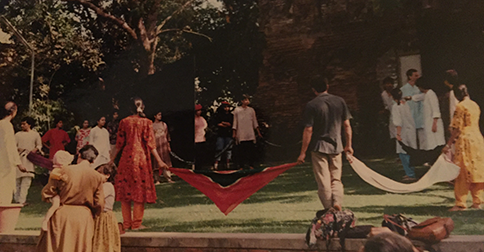 The dancers insist that I take the reins in directing the production since “India is yours, not ours.” This is a big change since I have yielded the choreographic role to the dancers over the past three years, but who can resist their dancers’ call to action? Searching through the hundreds of Indian performers with whom I have contact on FB, I decide to look for a dancer who is approximately the same age as my dancers; physically fit; and intellectually engaged. There are many, but intuitively, I gravitate to Unnath H.R. I invite, he agrees, he arrives, he merges with the Battery Dancers and, voila, 20 minutes of choreography materializes in less than 20 days. January, 2016 – I am searching for a location for a photo session, having realized that we need to market this baby; and also desperately seeking a home for our gala reception, having failed to locate an affordable and intriguing space near the Schimmel Center where our performances will take place. My resourceful friend Vin Cipolla says, “talk to Simon Birch, an incredible artist from Hong Kong, who has taken a raw space on Wall Street.” At 8:30 on a cold morning, I show up at the corner of Wall and Broad Streets, opposite the New York Stock Exchange, and while waiting for Simon, I read the landmark description and am struck by the fact that this building that J. Pierpont Morgan built is just a stone’s throw from Stone Street where Battery Dance was born 40 years ago. Simon arrives, we look at the raw insides of the building, stripped to the structural I-beams, and he says, “Welcome! You can have it for your photo session and reception.” Hallelujah! But oh yeah, this means that the costumes that would have been scheduled for May need to be readied by yesterday! The remarkable Solé Salvo jumps into action, working all night for too many nights to imagine and transforms stunning sketches into perfectly fitted garments out of buttery soft leather in spice tones. April, 2016 – I am preparing to head out to Brooklyn to sit in on the session that Frank Carlberg has organized to record his score for what is now known as The Durga Project and ….. to be continued!